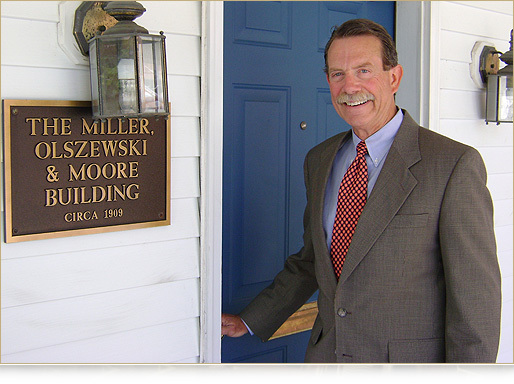 The Law Offices of Max D. Miller, P.A., and its predecessors, began in 1976 following Mr. Miller’s judicial clerkship with the Honorable Edward D. Higinbothom. The firm is located in Bel Air, Maryland, and has a presence in Harford County, Baltimore County, and Cecil County, Maryland, as well as the Baltimore Metropolitan area. The firm has represented individuals and businesses since 1976, in litigation and transactional legal matters. Concentrating in Individual Litigation/Trial Work, Business Litigation/Trial Work, Criminal/DUI/Traffic, Construction Law, and Business Transactions. discuss your specific needs. LEGAL DISCLAIMER : The information at this web site is for advertising and general information purposes. This information is not intended to be legal advice for you to rely on. We recommend you contact the firm for specific questions. © Copyright Law Offices of Max D. Miller. All Rights Reserved.